William Rance’s parents were Charles (a coalminer) and Eliza Anne (nee Pounder). He was born in Bulwell (Nottingham) in 1896. After his father died the following year (aged 36) Eliza married Alfred Henshaw (also a coalminer). They were still in Bulwell in 1911 but by 1917 the Henshaw family had moved to Church St, Long Bennington. William volunteered in Sep 1914, joining the Royal Field Artillery. After training at Ashton and Fermoy he was sent to the Western Front in Feb 1916. He had several narrow escapes, and minor shell shock at one time. 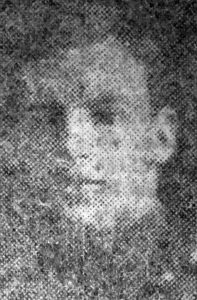 He was killed in action whilst serving with C Battery, 181st Brigade RFA, during the Battle of Cambrai on 2nd Dec 1917, when the German counter-attack threatened to over-run the British artillery batteries. He has no know grave but is listed on the Cambrai Memorial.